The Alamans, which means 'all men', are the spirited successors of the Suebi. It is their intent to forge a new life for the Germanic tribes of Europe in the west, away from the nomadic terror of the Huns. Although existing in one form or another for centuries, the Alamans were first recorded by the Romans during the despised Emperor Antonius' campaigns in the Agri Decumates. Although defeated by Imperial forces, they capitalised on the widespread hatred of Antonius to bargain a favourable peace deal for themselves, and are considered by posterity to be his victims. However, the Alamans still regard themselves Rome's dogged nemesis, and have undertaken several campaigns against the Empire, even invading Gaul in AD268 at the same time as the massive Gothic attack on the Eastern Romans. Although defeated on several occasions - notably at the Battle of Lake Benacus – they have nevertheless stripped Rome of much of its western territory, as the great Empire has had to fight on several fronts against multiple threats at the same time. 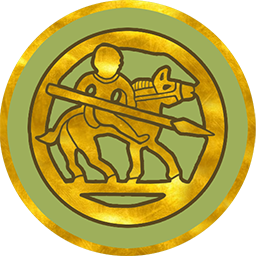 Led by a tribal confederation of greater and lesser kings, princes and chiefs who claim royal blood, the Alamans levy a diverse range of Germanic troops from across the region to fight for them. Their destiny, however troubled, and however many times they are pushed back, lies in greatness beyond the Rhine; tenacity and sheer, bloody-minded determination will see Alamannic ambitions realised! Nations are merely lines on a map. The true Kingdom is endless. The Alamannic king is counselled by a circle of lesser tribal kings; the wisest, most experienced, and therefore best qualified to advise him on all matters of rule. 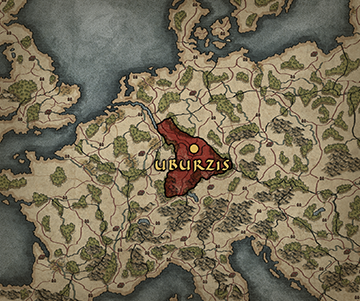 The Alamans are a confederation of tribes from the borderlands of Germania Superior. Although perpetually at war with their Roman neighbours, they have nevertheless adopted many aspects of Roman culture. Royal Splendour: +50% to general's radius of influence. Frontiersmen: +15 melee attack versus Romans.